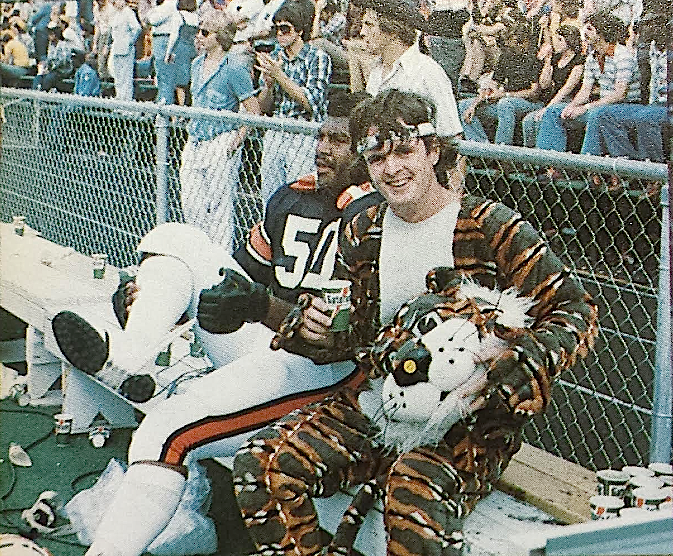 Bodygettin’ Bodygettin’ Bodygettin’ Hot: This photo of Barry Mask, a former Alabama state representative and the first official Aubie, may not have been taken at the Kansas State game. But it sure looks like it could have been. People dumped ice on their heads this summer to help save the lives of others. 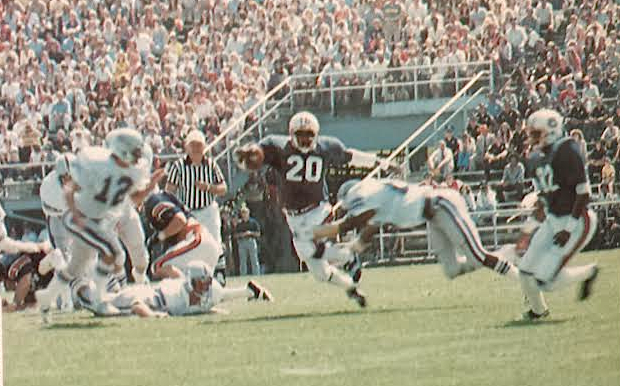 Thirty-five years ago, during Auburn’s season opener against Kansas State, Barry Mask pretty much did it to save his own. That was the day Barry Mask became the first Aubie. Others had worn the suit before, sure. 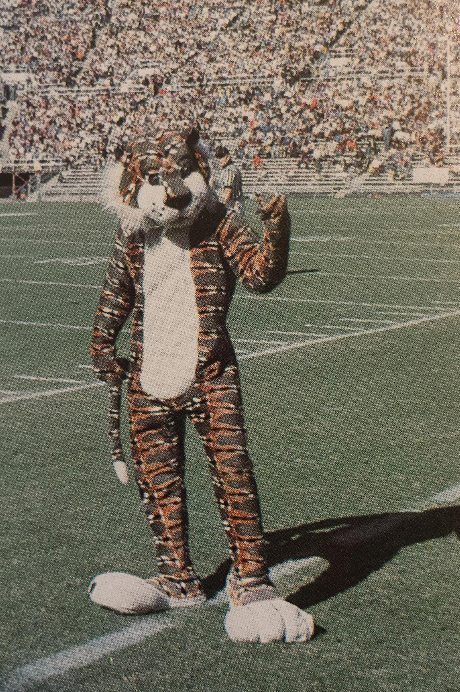 When it arrived from New York in February 1979, SGA Spirit Director James Lloyd, who pretty much spearheaded the whole Auburn-needs-one-of-those-kind-of-mascots deal, took the $1,390 costume out of the box and put it on for a Plainsman photographer, and even for a brief appearance at the SEC Basketball Tournament in Birmingham in February. Mask and the other 17 people auditioning to be Aubie a few weeks later had also worn it for their four and half minute skits. 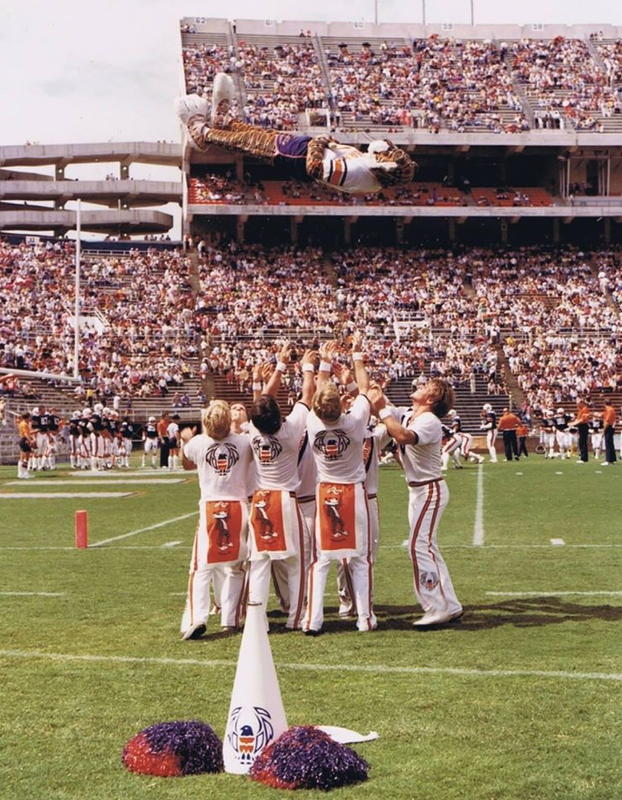 The first time Mask donned the stripes after that was at A-Day (which also happened to be Auburn’s first Founder’s Day–he was there for that, too), just four days after Lloyd and Co. announced at Toomer’s Corner that Mask had been selected as the first official Aubie. But that was mostly just posing for photos with kids and waving at everyone. It was also almost the last hurrah. Joe Cribbs was also pretty hot against Kansas State in 1979. Auburn won 28-16. Inspiration came at the Phi Tau house. Barry was a brother. They had just bought a new refrigerator, and the box was still just sitting there. Another shot of Mask during Aubie’s debut season. As the season progressed, Aubie got a little more creative (you know, like dressing up as Bear Bryant). But that first game, it was just a boy in a box. Mask got it, painted it orange, put a crate in the bottom, took it to the field, in the end zone, and got the cheerleaders to help him in. When stadium announcer Carl Stephens said “introducing a new Auburn tradition, Aubie”, Mask burst out of the box… on the verge of heat stroke. It also got Mask’s temperature up. Late summer? One o’clock kickoff? In a faux fur suit? Inside a refrigerator box? There’s only so much a 19-year-old can do to stay cool. Fortunately, he had devised a failsafe: a friend waiting on the sideline with a bucket of ice water. Aubie started dancing. Mask started seeing spots. Mask says he just sucked it up. His final motion? The throat slash, then a dash for the Auburn sideline. These days, taking Aubie’s head off is a no-no. That day, it was kind of a life saver. “Joey (his friend) got that helmet off and dumped the ice on me,” Mask says. It may have saved Mask’s life, but it ruined equipment manager Frank “Temperature Conscious” Cox’s experiment, or at least he thought it had. “Frank thought I was crazy, so he taped a thermometer to my chest out of curiosity,” Mask says. Never To Yield (To Heat Exhaustion): Mask went back under the hat after cooling off. This one definitely was taken at the Kansas State game. Mask says the highest temperature the thermometer on him could measure was 114 degrees. Mask didn’t wait to take it off. They took a look at it anyway. 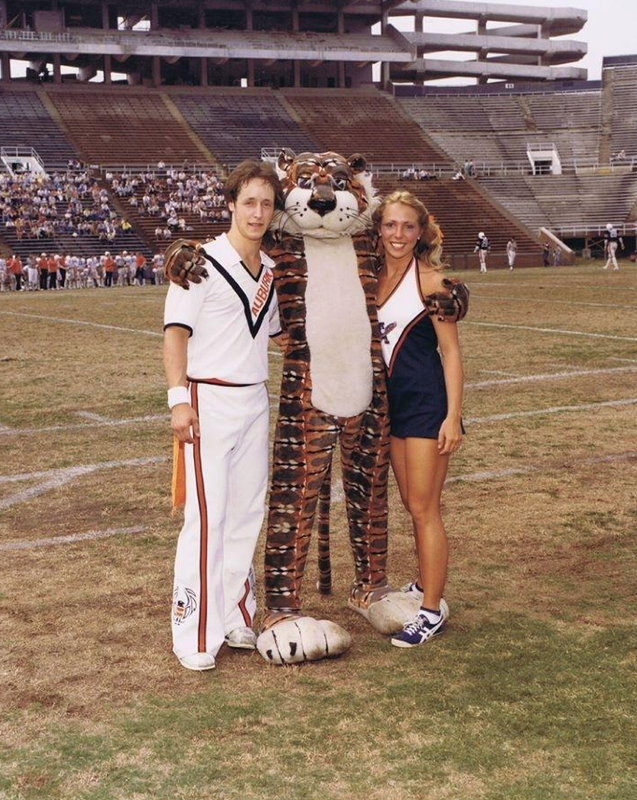 Related: Aubie called as star witness in 1979 trial. You beat me to it Bryan. I saw the ramps and thought that can’t be ’79. Good eye, thanks! — but do you mean the second to last? The last one definitely is ’79.